​Many politicians, both past and present, are rarely seen without their fountain pens. Whether they are signing trade agreements, annexing territories, or reaffirming alliances, there is no other pen designed for important moments than the fountain pen. Additionally, the fountain pen has increasingly become a popular present for visiting dignitaries. 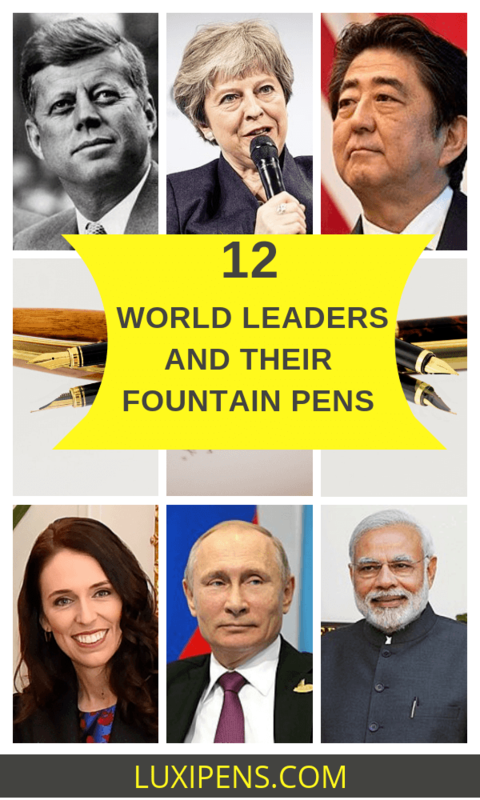 Keep reading to learn about twelve contemporary world leaders and the pens they use to make history. United States Presidents from Roosevelt to Eisenhower to Reagan have had a long history of using fountain pens. Even before the modern fountain pen became popular, its predecessors became intertwined with American history. George Washington himself was known to use a goose quill dip pen, though Abraham Lincoln exchanged feathers for metal in the tip of his dip pen. 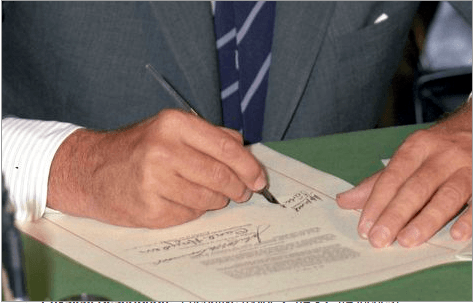 When the fountain pen as we know it today came into fashion, the president’s choice of pen became his signature for his presidential signature. 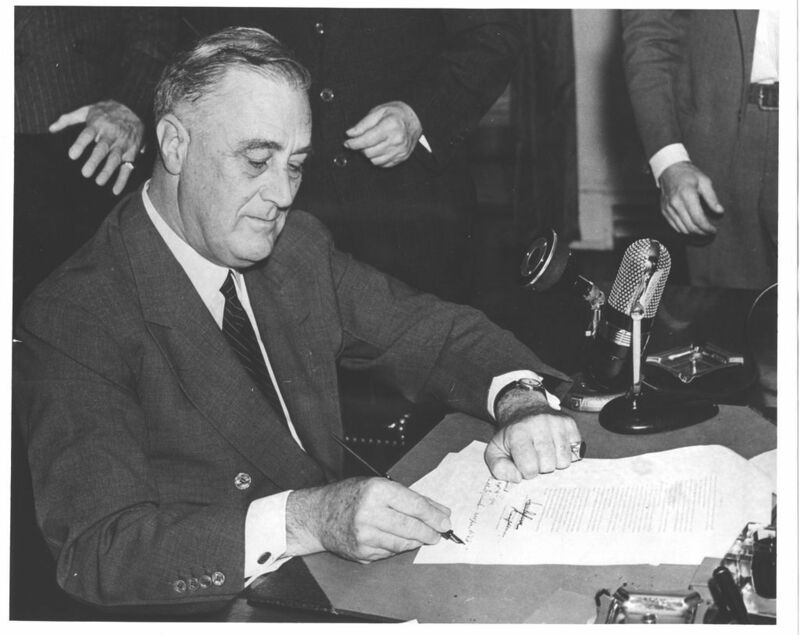 Franklin Delano Roosevelt used Waterman brand fountain pens, while Truman and Eisenhower preferred Parkers. In keeping with his image of a man of the people, Kennedy went with inexpensive Esterbrook pens. When Bill Clinton took office in 1992, he broke with tradition and began using rollerball pens manufactured by the A.T. Cross company. The next two presidents -- George W. Bush and Barack Obama -- followed his lead and stuck with the Cross brand. Even Trump uses a Cross rollerball, the Century II black lacquer and gold pen. So why did Clinton make the switch? We may never know for sure, but we do know that he’s left-handed, and lefties tend to prefer quick-drying ink. As expedient as ballpoints and rollerballs are when signing off on matters of state, their use creates an unintentional problem: their ink fades much more quickly than the longer-lasting liquid ink from a fountain pen. The most important presidential documents are, of course, stored under special glass to prevent fading. However, signatures on more personal documents like letters and photos grow fainter when exposed to light. Future presidents may find that the old-fashioned fountain pen is actually the best choice for all their personal and professional business. 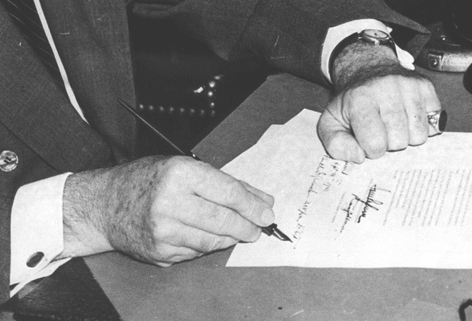 ​When signing bills into law, many presidents will use multiple pens. The extra pens become gifts for congresspeople or other legislators who were important in the process of passing the law. 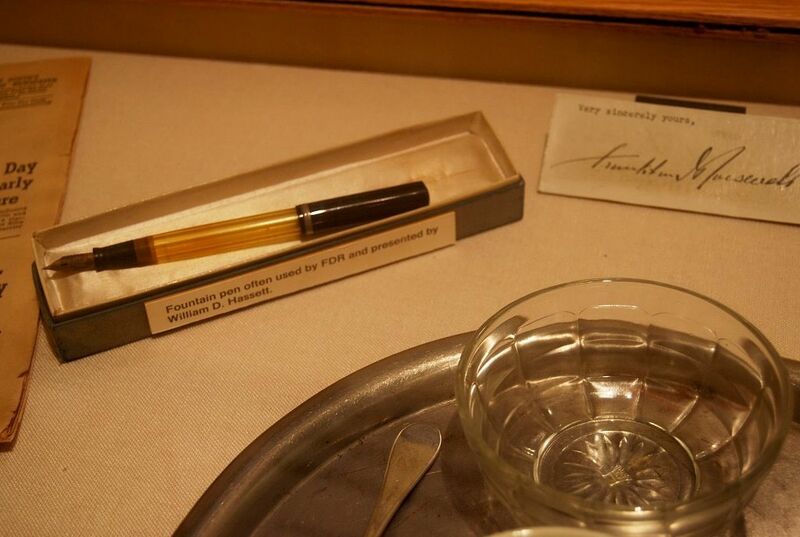 The pen of choice varies from president to president, but Kennedy chose the Parker “45” fountain pen as his ‘gift pen’. This pen is inexpensive with an attractive exterior, making it the perfect display piece. ​Introduced in 1960, the Parker “45” was designed to be easy to use. It used a much thinner nib that allowed for finer lines as well as a new mechanism to switch the nib more easily. Further, this was the first pen to take advantage of Parker’s universal cartridge system, meaning that it would be easy to refill when necessary. 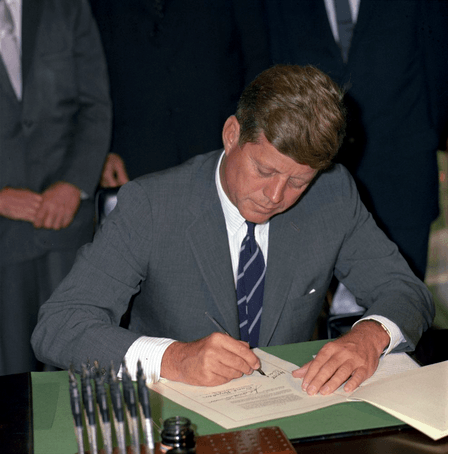 The pen was introduced as a ‘school pen’, and Kennedy’s decision to use it as his ‘gift pen’ reflects his desire to appear a “man of the people”. ​Leaving North America and moving across the Atlantic, our next stop in this fountain pen world tour is England. Given England’s literary history and emphasis on tradition, it is no surprise that its leaders, from the Queen to the prime ministers, continue to use fountain pens. Consider that England is not just a country, but also the center of the Commonwealth of Nations that includes some of the British Empire’s former territories. As British culture spread across the world, so did their use of fountain pens. 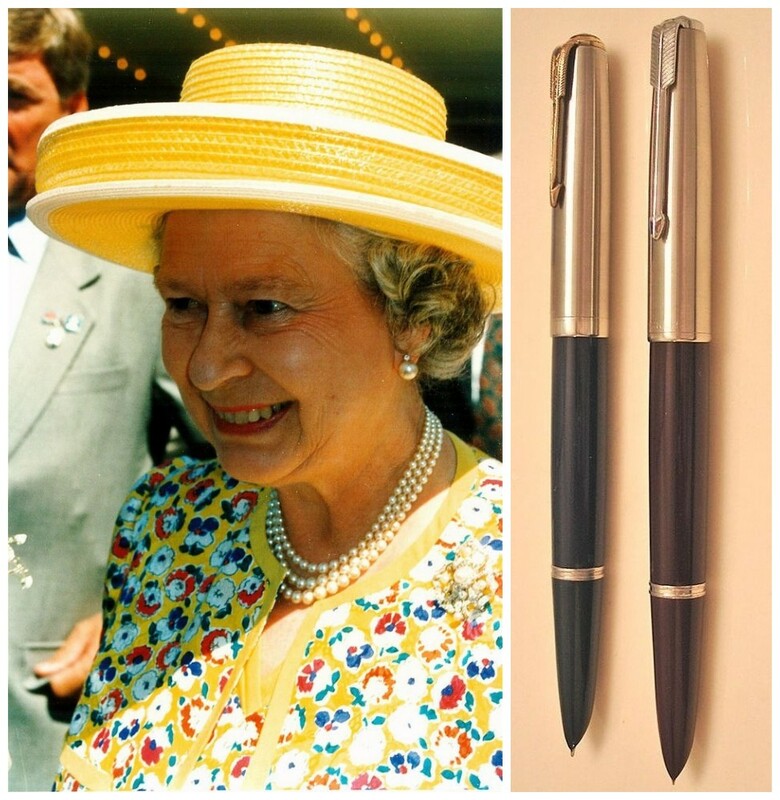 ​As it turns out, Her Royal Highness Queen Elizabeth II is no snob when it comes to writing implements. She favors a Parker 51, one of the most famous and popular fountain pens in the world. It's no wonder that ​Parker i​s the official pen of the British Royal Family. Created in 1939, the Parker 51 got its name by being manufactured in the 51st year of the Parker company’s existence. It officially went out of production in 1972, but it was so popular and demand was so strong that the company continued to make it unofficially until the 1980s. It was the first pen for which the cap could be popped off, rather than unscrewed, and its hood nib allows for an internal ink reservoir right in the nib. These features make it an excellent choice for a woman too busy running an entire commonwealth to waste time unscrewing the cap from a pen. ​The decision to initiate “Brexit,” in which Britain will leave the European Union, was a controversial one, but once the vote had been held, British Prime Minister Theresa May signed Article 50 to trigger the beginning of the process. She did so with a Parker Duofold International Black Gold Trim fountain pen. The appearance of the Duofold pen collection was based on the Jazz Age and Art Deco movement and is renowned for its reliability and elegance. The barrel is made out of black resin and the nib features two different tones of 18-carat gold. May’s pen is priced at about 400 pounds, or 472 USD. ​Former Prime Minister David Cameron, who led the British government from 2010 to 2016, preferred a more affordable pen. He was known to use a Platinum Preppy fountain pen, one of the less expensive refillable fountain pens on the market. This no-nonsense pen features a steel nib, a plastic barrel, and a removable grip for accessing the ink chamber. While Cameron received some ribbing for using an inexpensive pen, the Platinum Preppy is perfect for anyone who needs a dependable and versatile pen. ​If we hop aboard a Qantas jet and take a quick trip Down Under, we’ll see that Australian Prime Minister Malcolm Turnbull uses the Montblanc Friedrich Schiller Special fountain pen. 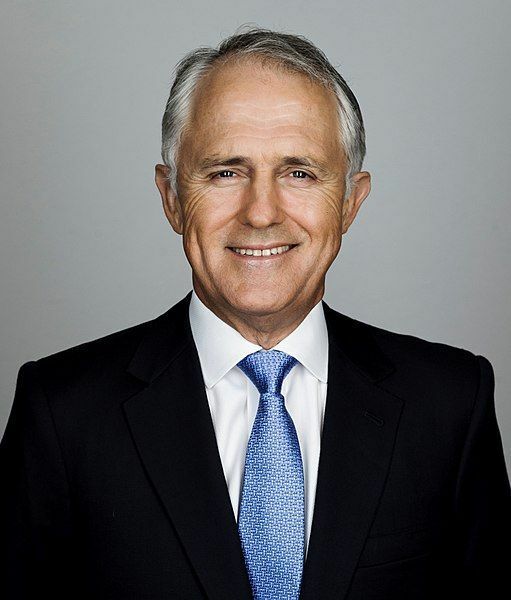 Known to be a stylish and elegant world leader, Turnbull selected a pen used by those who embrace change and progress. 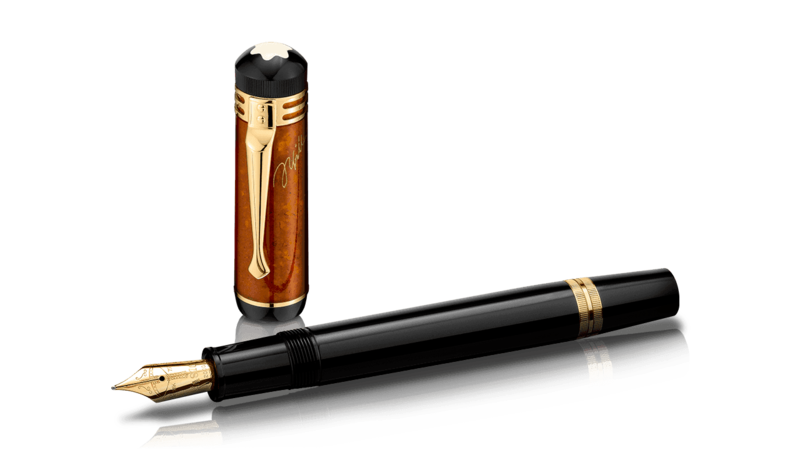 Montblanc created this unique pen to commemorate the writer and dramatist Friedrich Schiller. Like Schiller’s literary work, this fountain pen was designed to capture the sense of change and freedom and features an amber cap with Schiller’s signature inscribed inside. The pen also sports delicate gold-plated mountings and a finely-engraved 18-carat gold nib decorate with a small crossbow. 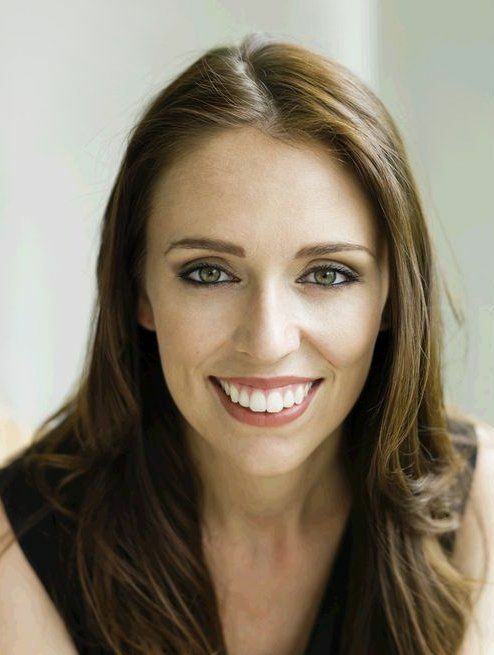 New Zealand Prime Minister Jacinda Ardern is a groundbreaker, the youngest woman to ever run a national government. When she met with German President Frank-Walter Steinmeier, Steinmeier gave Ardern a Pelikan ​Souverän fountain pen as a diplomatic gift. Pelikan is almost as famous a pen manufacturer as Montblanc, and the ​Souverän is the top of their line. Pelikan is known for their adherence to pen-making tradition, and they still create the ​Souverän’s intricately designed barrel out of celluloid acetate. With an 18-carat gold nib and 24-carat gold plating, it is a classic pen for the elegant and timeless leader. Asia is a vast and sprawling continent encompassing dozens if not hundreds of unique cultures, and it seems many of those cultures desire fountain pens. 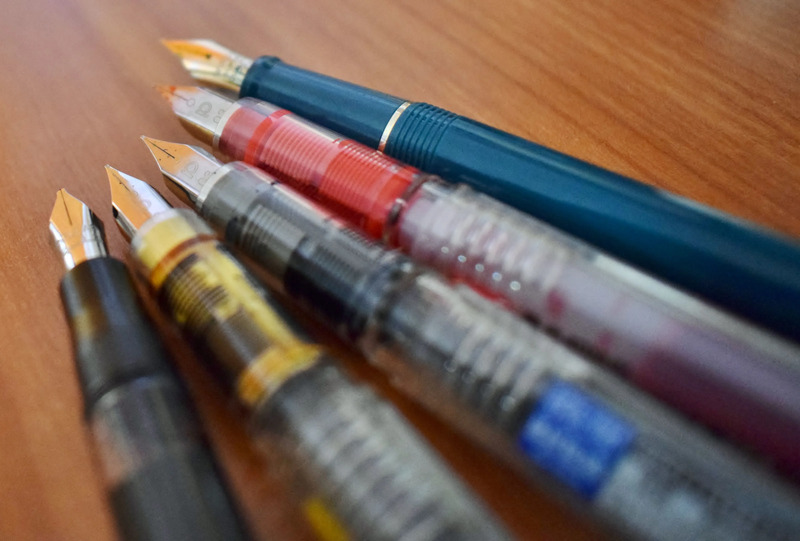 Asia is a booming market for pens, and Japan produces some of the finest. The Land of the Rising Sun has three well-known fountain pen companies, known as the big three, all created in the early 1900s. Pilot was founded in 1918, Platinum in 1919, and Sailor in 1911. 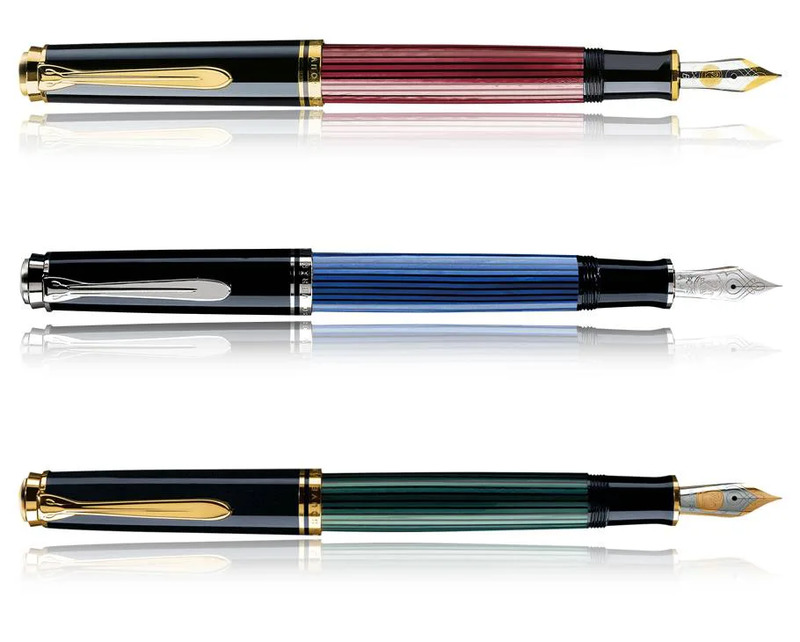 All three companies not only improved ​upon fountain pen mechanics for a smoother ​writing experience, they also employ a special lacquer using materials that can only be found in Japan. All of this makes using or receiving a fountain pen made in Japan a powerful political statement. ​Moving west to mainland Asia, China has recently become the world’s largest market for fountain pens. Not only are they considered an affordable but exquisite gift to give to potential business partners and clients, they have also become popular in Chinese diplomacy. 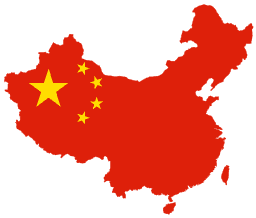 When President Xi Jinping assumed office in 2012, he promised to put an end to corruption and bribery by placing strict limits on the luxuries given to top politicians. Since lavish feasts and pricey European wristwatches are no longer the diplomatic currency of the day, a fountain pen makes the perfect sophisticated present, offering the feel of luxury without quite so hefty a price tag. 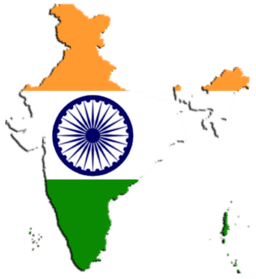 ​In nearby India, however, the market for fountain pens are declining. But if entrepreneurs like Mumbai native Sanay Shah succeed, India may stay in the pen game after all. Inspired by the unique pens owned by some of his family members, Shah began making and selling affordable fountain pens made in India for Indians. He believes that the older Indian pen-making companies aren’t using the social media and modern manufacturing techniques that could save their businesses. Though he’s recently taken a break from making pens himself, Shah continues to promote home-grown fountain pen companies through his social media presence. 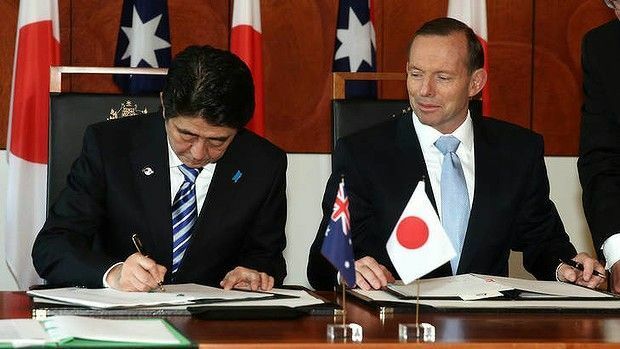 ​When Prime Minister Tony Abbott signed a trade agreement between Australia and Japan in 2014, he used a Waterman Carene ballpoint pen. Japan’s Prime Minister Shinzo Abe, however, showed off his sophisticated tastes by using a Pilot Custom 845 fountain pen. This pen has a uniquely Japanese finish, made of ebonite (hard rubber) and coated with a special type of lacquer known as urushi. Craftsmen employ the three-step roiro technique, which takes great time and skill and gives the pen its mirror-like finish. These handmade fountain pens are pricey, but for the world leader who wants to exhibit his country’s dedication to craftsmanship, there is no finer pen. ​Astir, L. (2014). Tony Abbott Shames Nation With Ballpoint Pen. [online] Special Envoy. Available at: https://specialenvoypens.wordpress.com/2014/10/12/tony-abbott-embarrasses-nation-with-ballpoint-pen/ [Accessed 5 Jul. 2018]. ​While Prime Minister Abe uses a fountain pen that represents his country’s rich artistic history, India’s Prime Minister Narendra Modi looked abroad to find a well-known and expensive fountain pen. 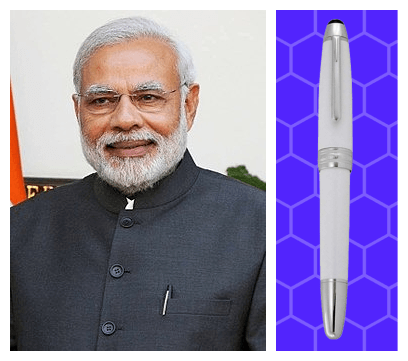 Modi is a pen collector, and among his many Montblancs, the Meisterstück Solitaire Tribute fountain pen is his favorite. A truly high end pen, the Meisterstück Solitaire comes with a platinum-plated clip, an 18-carat white gold rhodium-plated nib, and the signature Montblanc emblem made of snow quartz. It’s no surprise that Modi, known for his eye-catching fashion sense, uses such an elegant fountain pen. ​Even fountain pen enthusiasts struggle to find information on fountain pens produced in Russia or its predecessor, the USSR. The best-known Russian pen manufacturer during the Soviet era was Soyuz, and their Parker-like pens can occasionally be found in Russian thrift stores. While Russian citizens used these sturdy but ​traditional pens, leaders from Yeltsin to Putin have mostly used pens from German and Italian craftsmen. Today, Artus is a big name in Russian-made fountain pens. These lovely pens display traditional Russian icon artistry with Japanese lacquer techniques and Italian craftsmanship. Each one is a work of art that is unmistakably Russian. Russian President Vladimir Putin is a divisive political figure, and mentioning his administration in the context of fountain pens can pose problems. For example, after his militias invaded the territories Crimea and Sevastopol in 2014 to force them back under Russian rule, Putin signed the document “admitting” them into the Russian Federation using what appears to be a Montblanc Meisterstück No. 146. Talking about the pen is in no way intended to trivialize the event, but is undeniable that Putin is a prominent figure on the world stage, and as such his choice in pens will be discussed here. BBC (2014). [image] Available at: https://www.bbc.com/news/world-europe-26630062 [Accessed 5 Jul. 2018]. With an 18-carat gold flag nib, this is undoubtedly a distinguished pen that befits world heads of state. 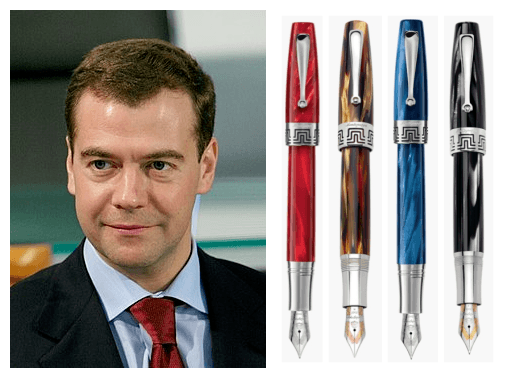 The current Prime Minister and former President of Russia Dmitry Medvedev seems to be a fan of classic designs, because the pen he uses to sign his official documents is a Montegrappa Extra 1930 fountain pen. Inspired by the golden era of Italian fountain pens, this elite pen is available in either black bamboo or turtle shell, which was a popular design in high fashion jewelry of the 1930s. Though the barrel is made from celluloid and sterling silver, the nib itself is 18-carat gold, making this high end fountain pen a true status symbol. ​Heading east from Russia, we end our journey in some of the former Soviet states of Eastern Europe. Eastern European fountain pens are often overlooked, but there are several companies that focus on making the perfect luxury fountain pen. The Czech company Koh-i-noor Hardtmuth is one of the world’s largest producers of art supplies, including colorful, custom-made fountain pens. Romania, too, is beginning to make an impact on the international fountain pen market with a small company called Poenari. Local leaders of Eastern Europe are proud of their countries’ fountain pen creations and often give and receive them as diplomatic gifts. ​The list of protocol gifts that Romanian President Klaus Iohannis received in 2017 seems modest in comparison to those received by leaders of larger world powers. However, the Baron Business fountain pen he received from the Poenari company has an understated elegance fit for the politician who has no desire to seem flashy. One unique feature of this pen is its rounded hexagonal grip, which fits easily in the hand. 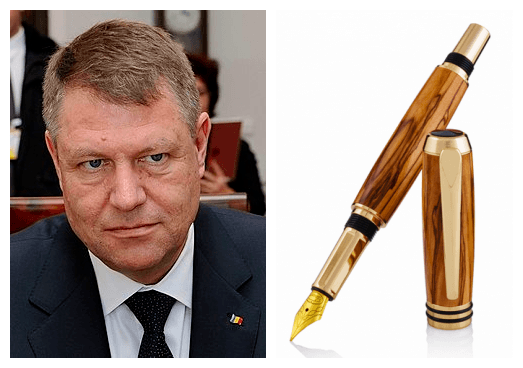 The barrel can be plated with 24-carat gold, silver rhodium, or a combination of the two, but Iohannis’ pen is lined with gold, and he uses his locally made pen with national pride. ​When the Czech Republic’s former President, Vaclav Klaus, “stole” a pen from the Chilean President Sebastian Pinera on national television in 2011, the footage went viral. After Klaus and Pinera signed a trade agreement, Klaus pocketed Pinera’s lapis lazuli encrusted ballpoint pen while the Chilean president praised the treaty. Klaus’s unusual defense was that this is common practice for him, and the pen was of a kind that is usually given out at state visits. The Czech people responded by taking up a collection for Klaus, ultimately sending him 500 pens so that he would never be without a writing implement again. In fact, former President Klaus has an extensive collection of pens numbering over 5,000. Perhaps the nicest of these is the fountain pen he received when he won re-election in 2008. The local Koh-i-noor Hardtmuth company presented Klaus with the Presidential Fountain Pen made in an extremely limited edition of only ten pens. As the name suggests, the pen was designed exclusively for use by the president of the country. With a slick black barrel and an 18-carat solid gold nib with thick platinum plating, this fountain pen is said to be worth about $60,500 in US dollars. Klaus left office in 2013, but there’s no word on how many of those limited edition pens ended up in his pocket on his way out. As we’ve seen, fountain pens are truly an international phenomenon. Their reputation for elegance and quality -- not to mention ink that resists fading -- has made them a popular item among world leaders, both for personal use and for diplomatic purposes. While traditional brands of fountain pen have come from western Europe, countries all around the world are producing their own pens that showcase local craftsmanship and artistic design. "12 Celebrities Who Use Fountain Pens"
"18 ​Famous Authors and their Fountain Pens"
Appelboom. “Parker Duofold Black GT International Fountain Pen.” Appelboom - Luxury Writing Instruments and Leather Goods, 2018, appelboom.com/parker-duofold-black-gt-international-fountain-pen/. Artus. “History of the Company.” ARTUS, 2018, artuspen.ru/history.htm. Astir, Lauren. “Tony Abbott Shames Nation With Ballpoint Pen.” Special Envoy Pens, WordPress, 12 Oct. 2014, specialenvoypens.wordpress.com/2014/10/12/tony-abbott-embarrasses-nation-with-ballpoint-pen/. Bespoke British Pens. “Conway Stewart Churchill Burgundy.” Bespoke British Pens, 2018, www.bespokebritishpens.co.uk/product/conway-stewart-churchill-burgundy/. Binder, Richard. “Profile: The Parker ‘51.’” RichardsPens.com • Pens That Write Right!, RichardsPens, 31 Jan. 2018, www.richardspens.com/?page=ref%2Fprofiles%2F51.htm. Brown, Jessica. 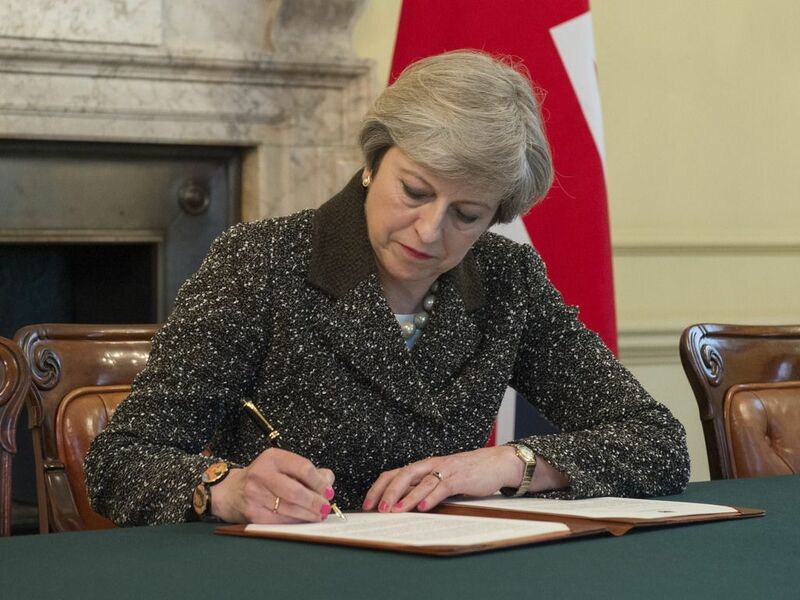 “Theresa May Used a £400 Pen with a Gold Nib to Sign Brexit Letter.” indy100, indy100, 30 Mar. 2017, www.indy100.com/article/theresa-may-expensive-parker-pen-sign-brexit-letter-europe-7655831. Butu, Alina Grigoras. “What Was the Most Expensive Gift That President Iohannis Received in 2017?” The Romania Journal, 15 Jan. 2018, www.romaniajournal.ro/what-was-the-most-expensive-gift-that-president-iohannis-received-in-2017/. Classic Fountain Pens. “Montegrappa Extra 1930 Turtle Brown.” Classic Fountain Pens, 2018, www.nibs.com/pens/montegrappa/montegrappa-extra-1930-turtle-brown. Cooke, Henry. “Tickets, Expensive Pens, and an 'Alcohol Drinking Flask' - All of the Gifts MPs Received Last Year.” Stuff, Stuff Limited, 15 May 2018, www.stuff.co.nz/national/politics/103931648/tickets-expensive-pens-and-an-alcohol-drinking-flask--all-of-the-gifts-mps-received-last-year. Cooper, Chris. “Platinum Preppy Fountain Pen Review.” A Better Desk, 23 Feb. 2016, www.abetterdesk.com/blog/2016/2/20/platinum-preppy-fountain-pen-review. Coscarelli, Joe. “All of the Insanely Fancy Gifts France Gave Obama Over the Course of One Year.” New York Magazine, 25 Apr. 2013, nymag.com/daily/intelligencer/2013/04/france-gives-obama-the-most-insanely-fancy-gifts.html. Danitrio. “Roiro-Migaki Series.” Danitrio, Dani International Corp, 2009, www.danitrio.com/roiro-migaki/roiro-migaki.htm. Dey, Sohini. “In a Paperless Age, This Mumbai Boy Hopes to Popularise Made-In-India Fountain Pens.” The Better India, The Better India, 28 Apr. 2017, www.thebetterindia.com/98095/sanay-shah-pen-maker/. Encre. 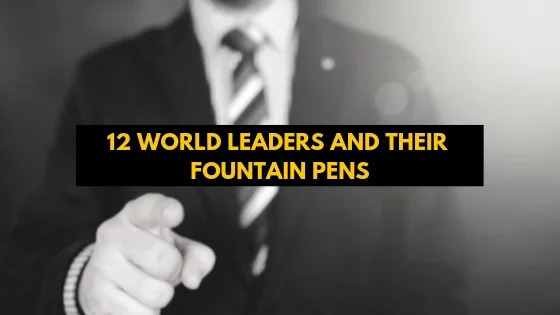 “The Fountain Pens Of World Leaders?” The Fountain Pen Network, 6 Jan. 2016, www.fountainpennetwork.com/forum/topic/302328-the-fountain-pens-of-world-leaders/. Fischier, Tony. “Parker Penography: Parker ‘45.’” Parker Penography: PARKER 45, 2017, parkerpens.net/parker45.html. Gilmour, Ron. “The Parker 51.” The Pen Addict, 7 July 2016, www.penaddict.com/blog/2016/7/7/the-parker-51. Gonzalez, Emma. “A $341-Million Fountain Pen Market All Set to Be Bigger.” ChinaDaily USA, China Daily Information Co, 18 May 2016, usa.chinadaily.com.cn/epaper/2016-05/18/content_25350652.htm. Grauer, Neil A. “Presidential Fast Fade.” The Washington Post, WP Company, 24 Jan. 1993, www.washingtonpost.com/archive/opinions/1993/01/24/presidential-fast-fade/6f0a0970-3cb4-481a-ba4c-6dc1ca0c5542/?utm_term=.fb637a580326. Hagiwara, Yasukaza. “Pilot Custom 845.” Tokyo Pen Shop Quill, 2018, www.japanshop-quill.com/pilot-custom845.php. Jomashop. “MontBlanc Meisterstuck Solitaire Tribute Fountain Pen 110599.” Jomashop, 2018, www.jomashop.com/montblanc-110599.html. Jono. “The Battle Between Japan's Big 3.” Pentorium, 2 Mar. 2013, www.pentorium.com/2013/03/01/the-battle-between-japans-big-3/. Kathryn. “Conway Stewart Fountain Pen, the Elite Vintage Fountain Pen.” Time-Honored Fountain Pens, 28 Jan. 2016, bestfountainpenreview.com/vintage-fountain-pen/. Kathryn. “Should Montegrappa Nero Uno Be Seen as One of the Expensive Pens ?” Time-Honored Fountain Pens, 21 Mar. 2014, bestfountainpenreview.com/expensive-pens/. Klara, Robert. “Meet the $935 Pen That Turns a Scribble Into a Status Symbol.” Adweek, Adweek, 23 June 2015, www.adweek.com/brand-marketing/meet-935-pen-turns-scribble-status-symbol-165458/. Klein, Betsy. “Trump Sticks with Tradition for Presidential Pen Choice.” CNN, Cable News Network, 27 Jan. 2017, www.cnn.com/2017/01/27/politics/donald-trump-cross-pen-white-house/index.html. Loring, John. “The Presidential Pen - the First Fifty Years.” THE PRESIDENTIAL PEN - the First Fifty Years, 14 May 2008, www.loringpage.com/attpensetc/penbookupdate.html. Murse, Tom. "Why Presidents Use So Many Pens to Sign Bills Into Law." ThoughtCo, Jun. 14, 2018, thoughtco.com/why-presidents-use-so-many-pens-3368115. Overfield, Cornell. “The Fountain Pen Century.” SIR Journal, 2 Jan. 2017, www.sirjournal.org/op-ed/2017/1/2/the-fountain-pen-century. Palmer, Nick. “Some Famous Pens from History.” Printed Pens, 17 Mar. 2016, www.printedpens.co.za/some-famous-pens-from-history.html. Penporium. “Montblanc: Friedrich Schiller Writers Series Limited Edition Fountain Pen - Medium.” Penporium -- The Place for Pens, 2018, www.penporium.com/MONTBLANC-FRIEDRICH-SCHILLER-WRITERS-SERIES-FP-p/3914.htm. Poenari. “Baron Business.” Poenari, 2018, poenari.ro/product/baron-business. Quinn, Ben. “Czech Leader Vaclav Klaus Caught Stealing Pen on Chile Trip.” The Guardian, Guardian News and Media, 13 Apr. 2011, www.theguardian.com/world/2011/apr/13/czech-president-steals-pen. Stoughton, Cecil W. “ST-C360-16-63. President John F. Kennedy Signs Maternal and Child Health and Mental Retardation Planning Bill.” John F. Kennedy Presidential Library and Museum, 24 Oct. 1963, www.jfklibrary.org/Asset-Viewer/Archives/JFKWHP-ST-C360-16-63.aspx. Robinson, Stephen. “The Return of the Fountain Pen.” The Spectator, 25 Mar. 2015, www.spectator.co.uk/2015/03/the-return-of-the-fountain-pen/. rperson17. “Russian/Soviet Fountain Pens.” The Fountain Pen Network, 26 Oct. 2010, www.fountainpennetwork.com/forum/topic/172585-russiansoviet-fountain-pens/. Smith, Alexandra L. “Handwriting Saviour or Teachers' Nightmare? The Return of the Fountain Pen.” The Guardian, Guardian News and Media, 13 Nov. 2006, www.theguardian.com/education/mortarboard/2006/nov/13/handwritingsaviourorteacher1. SquelchB. “FP for the President of the Czech Republic.” The Fountain Pen Network, 5 Mar. 2008, www.fountainpennetwork.com/forum/topic/55763-fp-for-the-president-of-the-czech-republic/. Thorat, Nikhil. “Did You Know What Is The Actual Cost Of Modi's Pen? You Will Be Shocked To Know Its Price.” The Social Monk, 26 May 2017, www.thesocialmonk.com/actual-cost-of-modis-pen/. Trevett, Claire. “Fashion Designers Gift Clothing to PM Jacinda Ardern and Paula Bennett.” NZ Herald, 16 May 2018, www.nzherald.co.nz/nz/news/article.cfm?c_id=1&objectid=12051872. This post contains affiliate links, which means I may earn some money if you click on them. Please read the full disclaimer here. 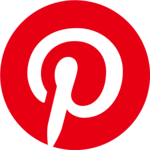 Previous Post The World’s Most Expensive Fountain Pens: A Top Ten List Next Post What is fountain pen posting?